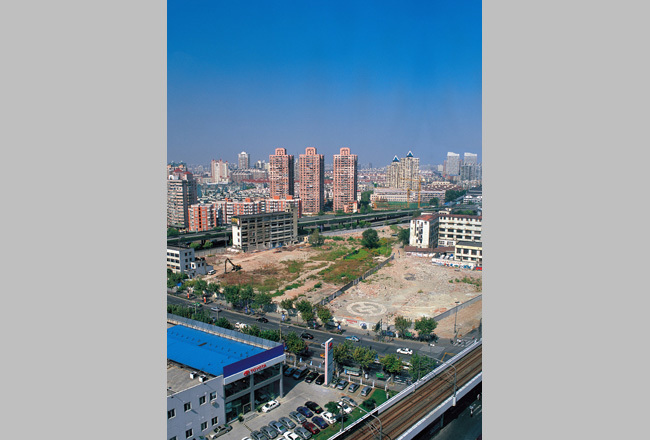 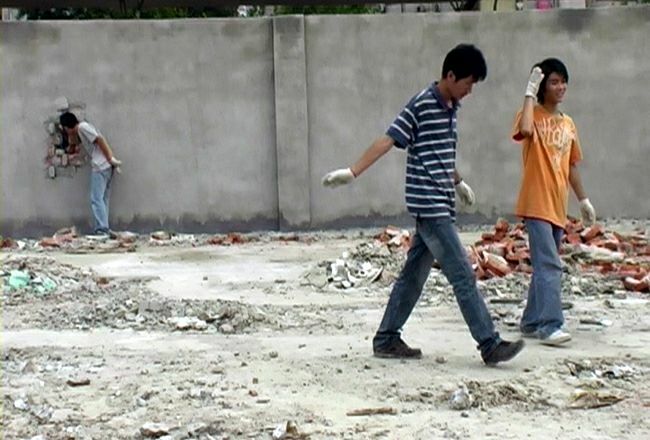 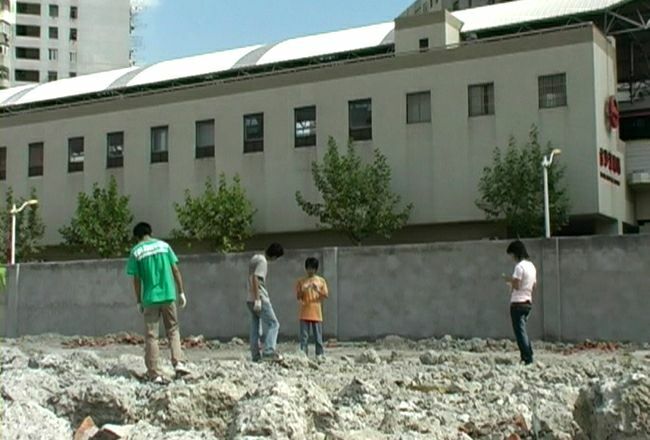 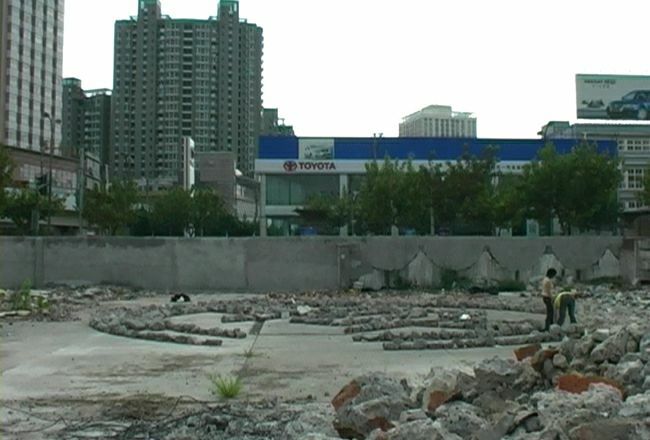 Displacement (With Chinese Characteristics) is an earthwork created in a construction site in Shanghai adjacent to the Jinshajiang Lu Metro Station. 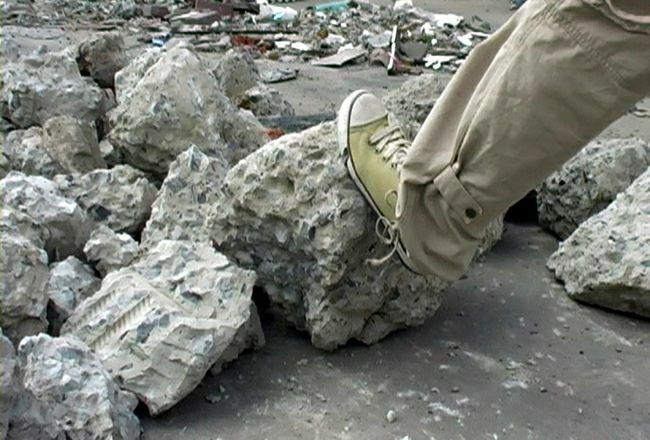 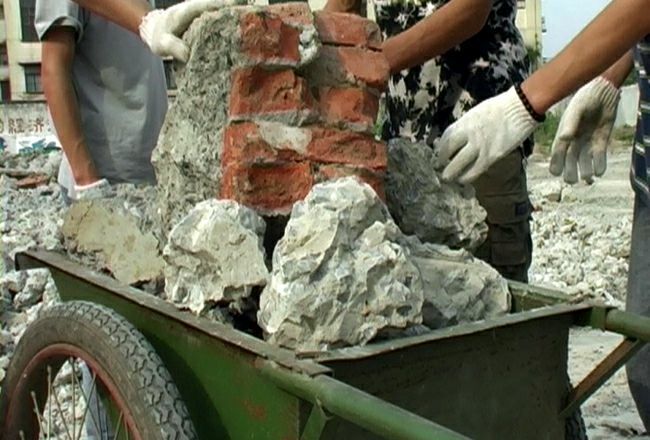 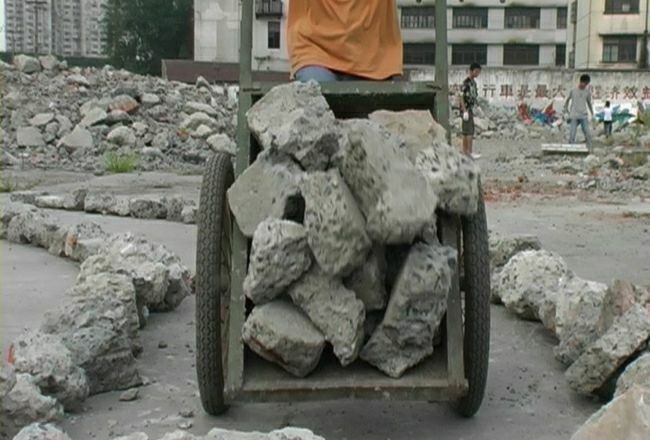 In place of the natural materials used by American and British land artists of the late 1960s and 1970s, this urban variation is constructed with the rubble from freshly demolished buildings collected at the site. 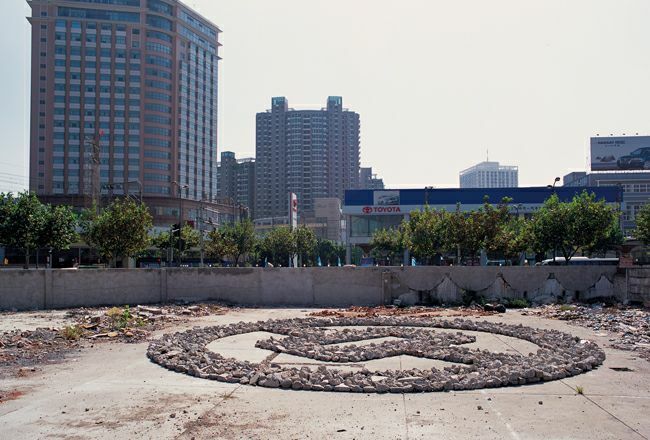 The geometric patterns of the earlier earthworks have also been replaced with a new form: the logo of the Bank of China, a minimal design derived from the shape of old Chinese coinage. 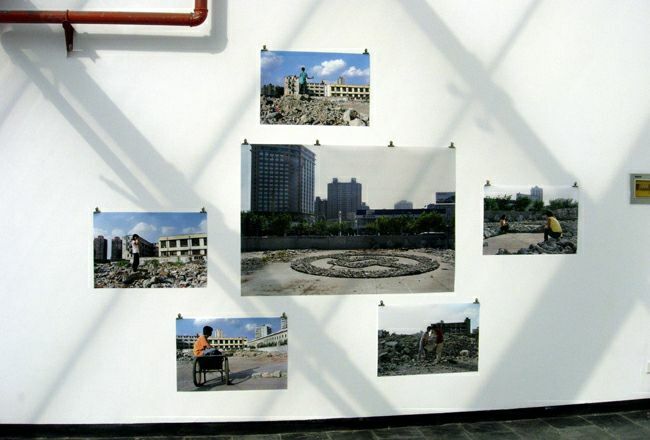 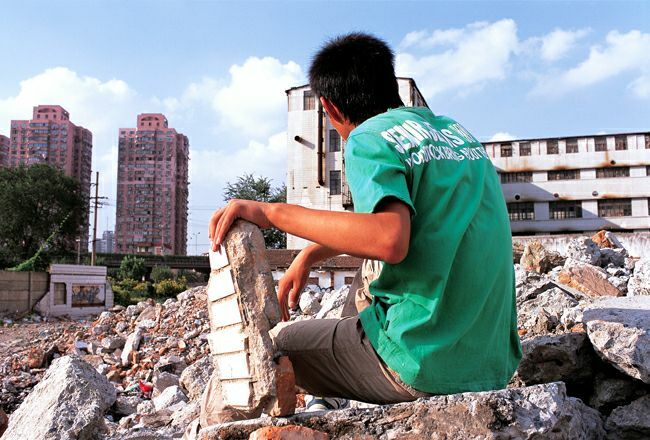 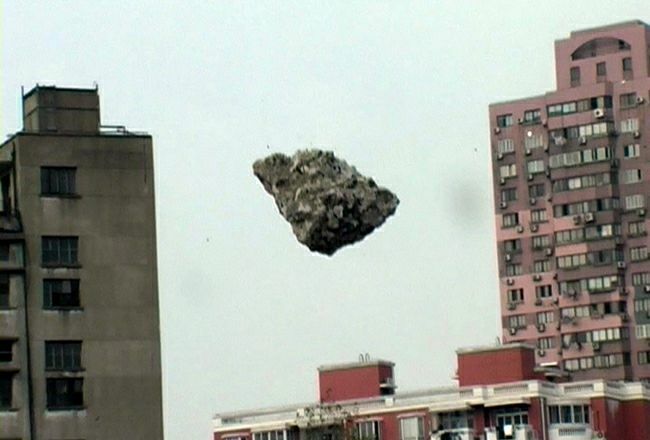 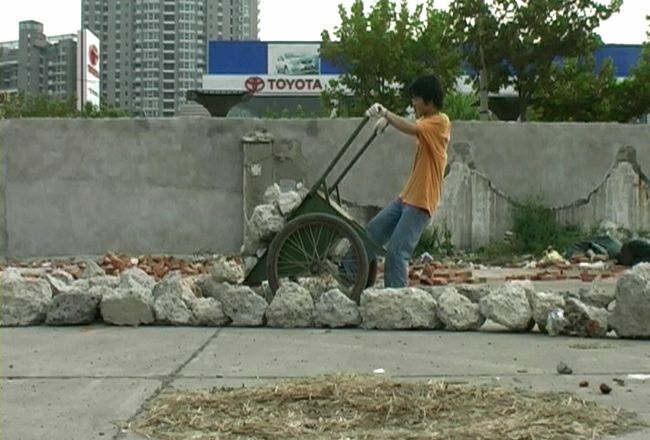 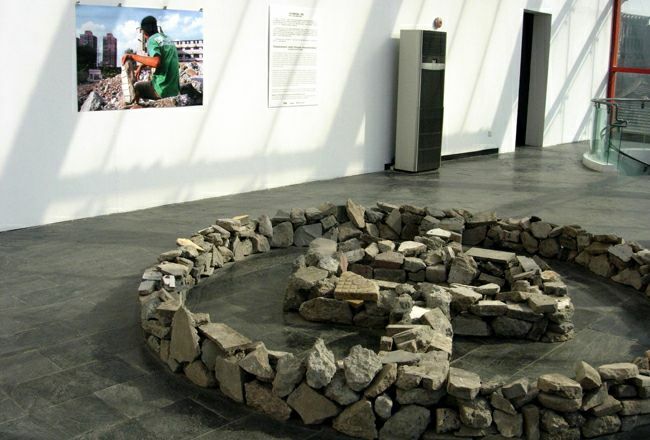 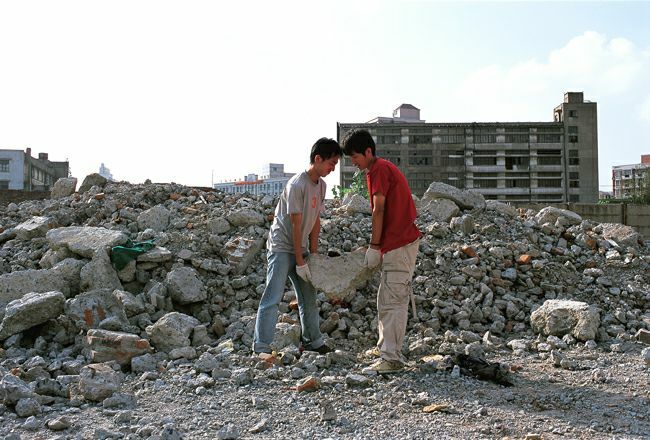 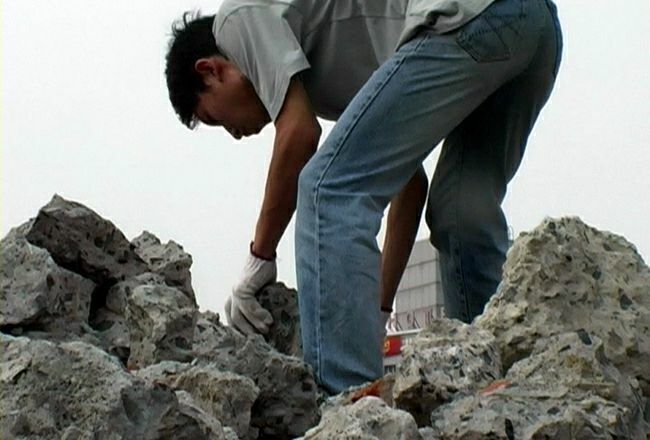 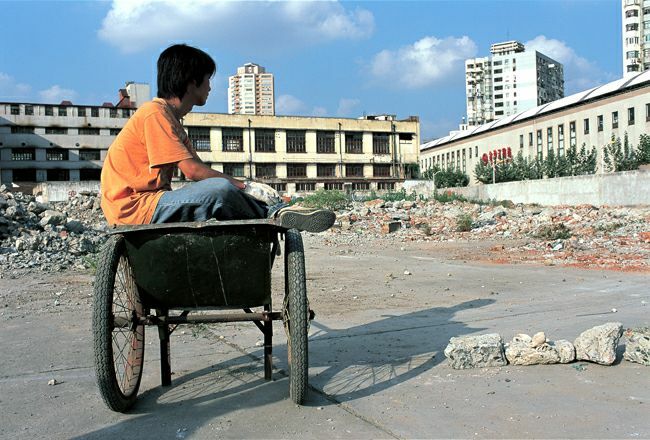 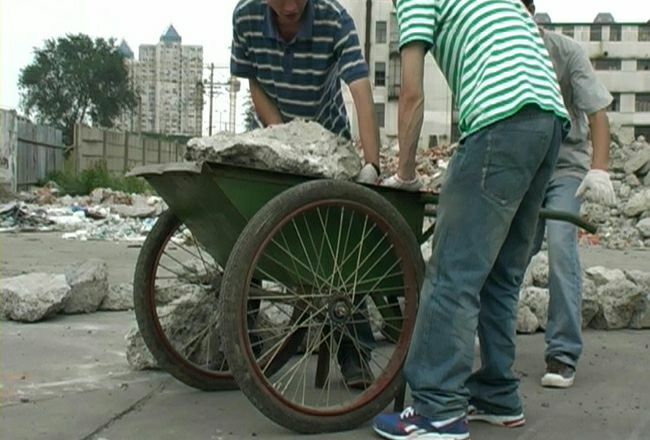 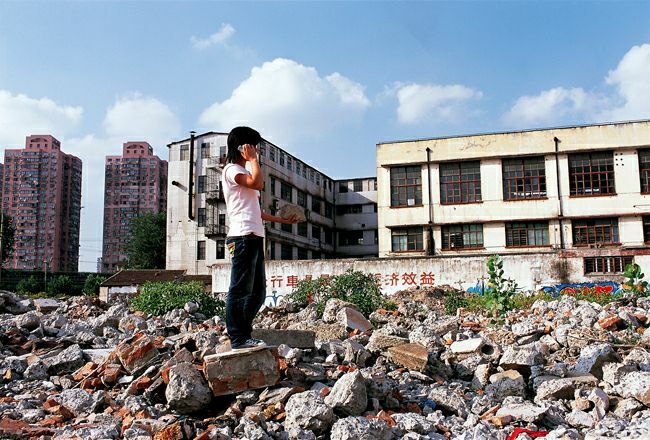 Set against the backdrop of Shanghai's immense construction projects and the powerful financial and political forces needed to sustain those development activities, the earthwork as an artistic gesture is dwarfed by the scale of new Chinese urban displacement and the imposing forces of globalization.